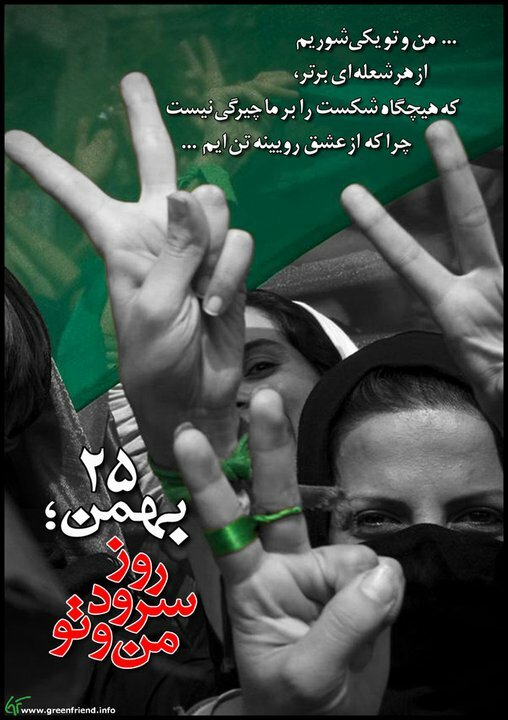 November | 2010 | FREE IRAN NOW! According to information received by the International Committee against Execution Shahla Jahed’s family and lawyer have been informed that Shahla will be executed tomorrow, Wednesday 1 December, in Evin prison. We are asking everyone to immediately voice your protest by calling, faxing and emailing your protests to the Islamic Regime’s authorities in Iran as well as their embassies abroad and to also lobby your political representatives, MPs, MEPs and UN bodies. Please do it right now to save Shahla Jahed from execution. The Obama team over and over again has made the argument that progress on the Palestinian conflict was essential to obtaining the help of the Arab states in confronting Iran’s nuclear threat. We know that this is simply and completely false. The documents show that the Arab states were hounding the administration to take action against Iran. Looking ahead, Iran represents the Middle East’s greatest danger and its greatest hope. Its nuclear buildup, terrorism, ideological aggressiveness, and formation of a „resistance bloc“ present a truly global threat, ranging from jumping the price of oil and gas to an electro-magnetic pulse attack on the United States. But if these dangers can be navigated, controlled, and subdued, Iran has a unique potential to lead Muslims out of the dark night of Islamism toward a more modern, moderate, and good neighborly form of Islam. As in 1979, that achievement will likely affect Muslims far and wide. Contrarily, while the Turkish government presents few immediate dangers, its more subtle application of Islamism’s hideous principles makes it loom large as future threat. Long after Khomeini and Osama bin Laden are forgotten, I venture, Recep Tayyip Erdoğan and his colleagues will be remembered as the inventors of a more lasting and insidious form of Islamism. Thus may today’s most urgent Middle Eastern problem country become tomorrow’s leader of sanity and creativity while the West’s most stalwart Muslim ally over five decades turn into the greatest source of hostility and reaction. Extrapolation is a mug’s game, the wheel turns, and history springs surprises. Das plötzliche Einlenken Russlands, unter Verweis auf internationale Sanktionen doch keine S-300 an den Iran zu liefern, hatte anscheinend andere Gründe als von Moskau angegeben: Man wollte gerne israelische UAV nachbauen. A billion dollars and the cancelation of a missile deal with Iran – these were the things Russia promised Israel in return for advanced technology on drones, according to a secret cable leaked by WikiLeaks. Rumors that Khamenei has cancer have circulated since 2009, but a WikiLeaks document, quoted by the French daily LeMonde, revealed a diplomatic cable to the United States. The North Korean version of the advanced missile, known as the BM-25, could carry a nuclear warhead. Many experts say that Iran remains some distance from obtaining a nuclear warhead, especially one small enough to fit atop a missile, though they believe that it has worked hard to do so. Beachtlich ist, daß die Waffendeals anscheinend nicht nur in Peking abgenickt wurden, sondern China tatkräftige Unterstützung leistete.